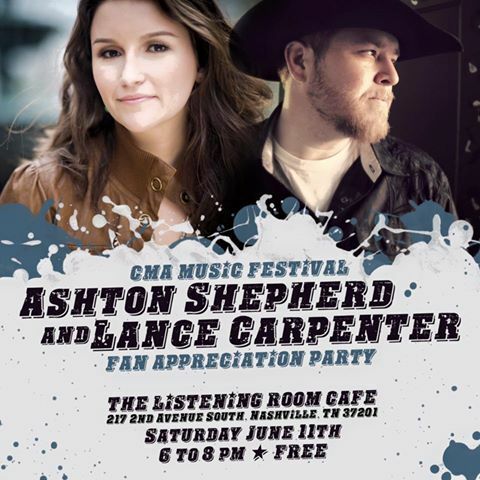 Ashton Shepherd Added To Lance Carpenter's Fan Party! Ashton Shepherd will be joining Lance Carpenter to hold a fan party during the 2016 CMA Music Festival. The party will be held at the Listening Room on Saturday, June 11th from 6 PM - 8 PM. This is a free event, but advance tickets are available here. See our complete 2016 CMA Fest Fan Club Party listing here!